Catch up with hottest ethnic wear trends of the season with this Simply Set Beige Rayon Cotton Asymmetrical Designer Sleeveless Long Tunic from Snehal Creation. 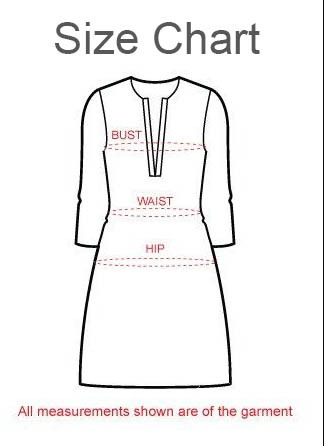 This asymmetrical long tunic is sleeveless and designed to have a round neck. The tunic is stitched out of two different fabric with interesting prints. The short centre panel carries a geometric print whereas longer side panels have horizontal lines running through them. Three designer matching buttons are placed under the neck line and look fabulous.